One day after saying a newly-created police unit armed with machine guns would police protesters, the New York Police Department has backtracked, saying the unit will only work on counter-terror initiatives. The reversal comes shortly after New York Police Department Commissioner William Bratton announced the new 350-strong unit – dubbed the Strategic Response Group – during a press conference at a Police Foundation event. The unit would be dedicated to “disorder control and counterterrorism protection capabilities,” with police citing attacks like the hostage situation in Sydney as examples where it would be deployed. Bratton originally said the new squad will be used to investigate and combat terrorist plots, lone wolf terrorists, and even civilian protests. "It is designed for dealing with events like our recent protests, or incidents like Mumbai or what just happened in Paris," Bratton said, according to CBS News. "They’ll be equipped and trained in ways that our normal patrol officers are not," Bratton added. "They’ll be equipped with all the extra heavy protective gear, with the long rifles and machine guns – unfortunately sometimes necessary in these instances." The pilot program is to start at two precincts in Manhattan and two others in Queens, though when it will be launched hasn't been shared with reporters. However, the suggestion of having an NYPD unit armed with machine guns “dealing with events like our recent protests” sparked an avalanche of criticism and condemnation. How can NYPD talk about terrorists and protesters in the same sentence? Protesters are New Yorkers exercising their protected rights. Smh. 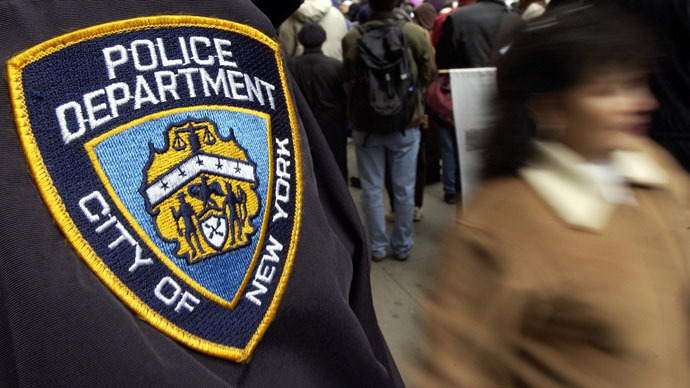 “Initial reports of Commissioner Bratton's plans suggest the opposite of progress. His demands for less oversight of the NYPD and a more militarized police force that would use counter-terrorism tactics against protestors are deeply misguided and frankly offensive,” Priscilla Gonzalez, organizing director of Communities United for Police Reform, said in a statement.